After the world's first 55-inch OLED produced by LG Electronics accepted pre-orders in January, Samsung 55-inch OLED TV will be put on sale for more than 10 million won in South Korea next week, and it is similar to LG's products. 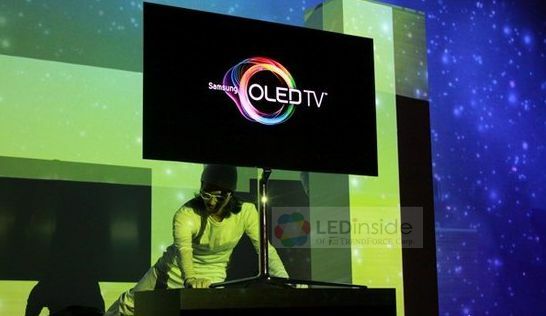 News also indicated that Samsung plans to launch OLED TV with a curved screen in South Korea next week. The pre-order for the world's first 55-inch OLED HDTV "55EA9800" from LG Electronics was available in the April 29, and it began being shipped in South Korea in June, it is priced at 15 million won. This model is priced much more expensive than another LG OLED TV without curved screen in the same size. However, the current sales situation of OLED TV is still far from satisfactory. According to reports, Hugo Shin, head of LG home entertainment products communications department, said that its OLED TV has been sold only 200 units since it was on sale in South Korea in February. In his view, it would take at least 2-3 years when the price of OLED TV drops to the same level with today's high-end LED TV.